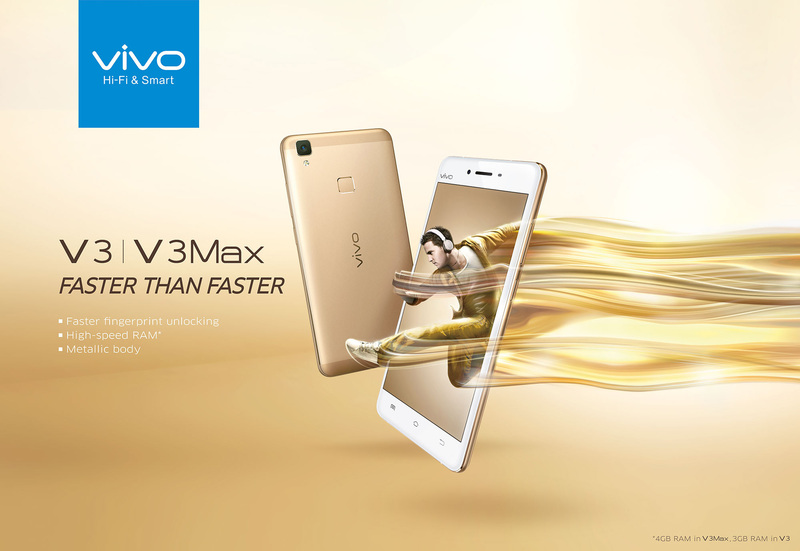 Leading smartphone brand Vivo officially announced the launch of its V3 and V3Max smartphones at a product release conference in Mumbai, India on April 5. 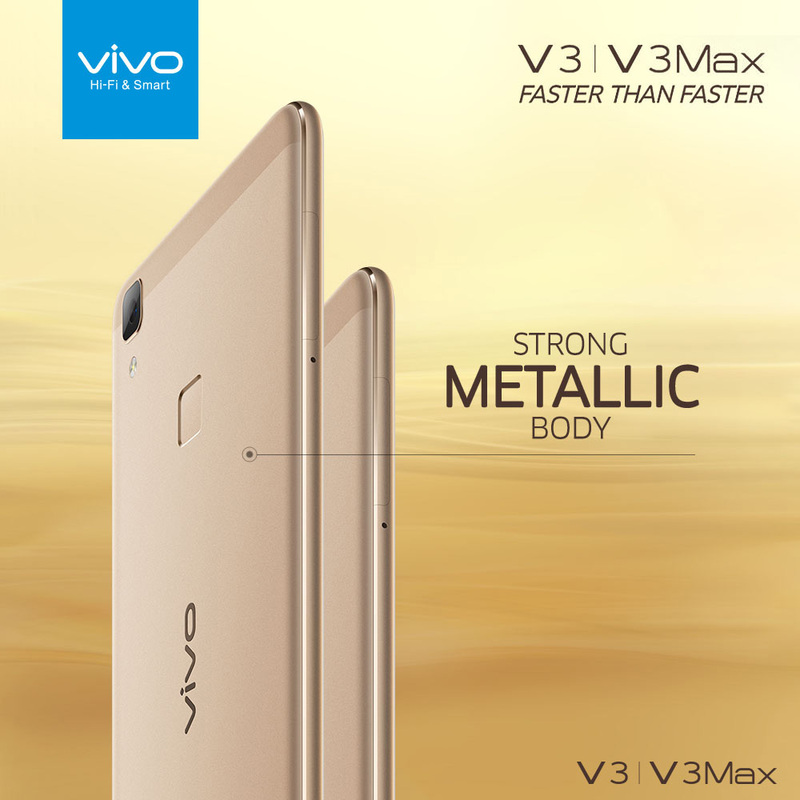 Part of Vivo’s 2016 V Series, the V3 and V3Max have a stylish, all-metal case design that not only guarantees durability, but also makes the phones much slimmer -- only 7.55 to 7.58mm in thickness. 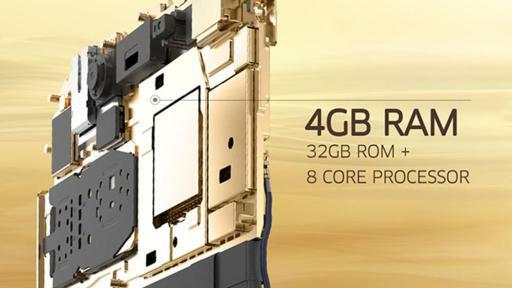 In addition to a stylish exterior the new smartphones aim to provide a more efficient, fluent and enjoyable video and audio experience with modern phone users around the world in mind. 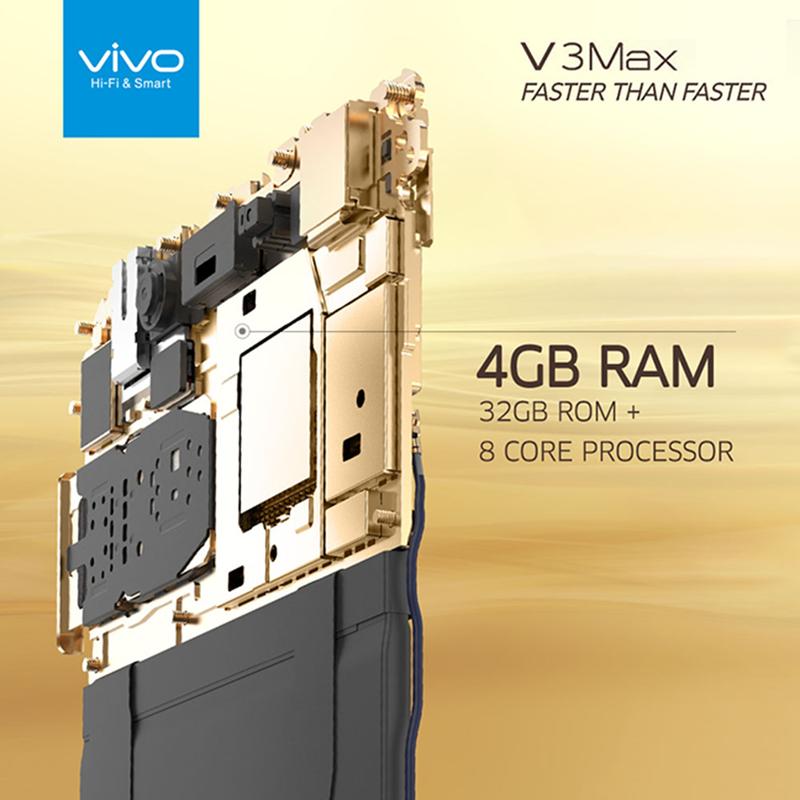 The V3Max combines 4GB RAM with a Snapdragon Octa-Core CPU to boost stability and speed with performance 100% better than is predecessor. 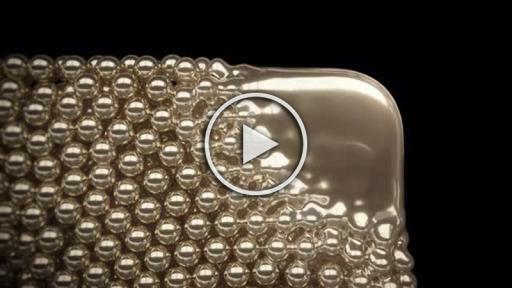 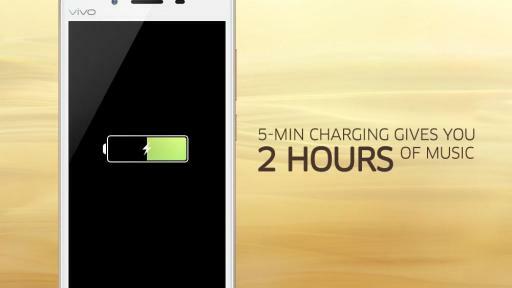 The camera takes a mere 0.7 seconds to start up and features PDAF technology to focus project in 0.1 seconds. 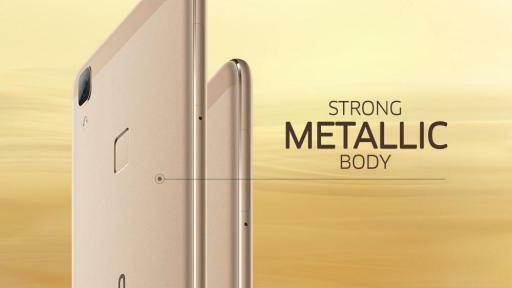 Combining with the extra-large 5.5-inch screen the camera offers the best photo and video viewing experience. 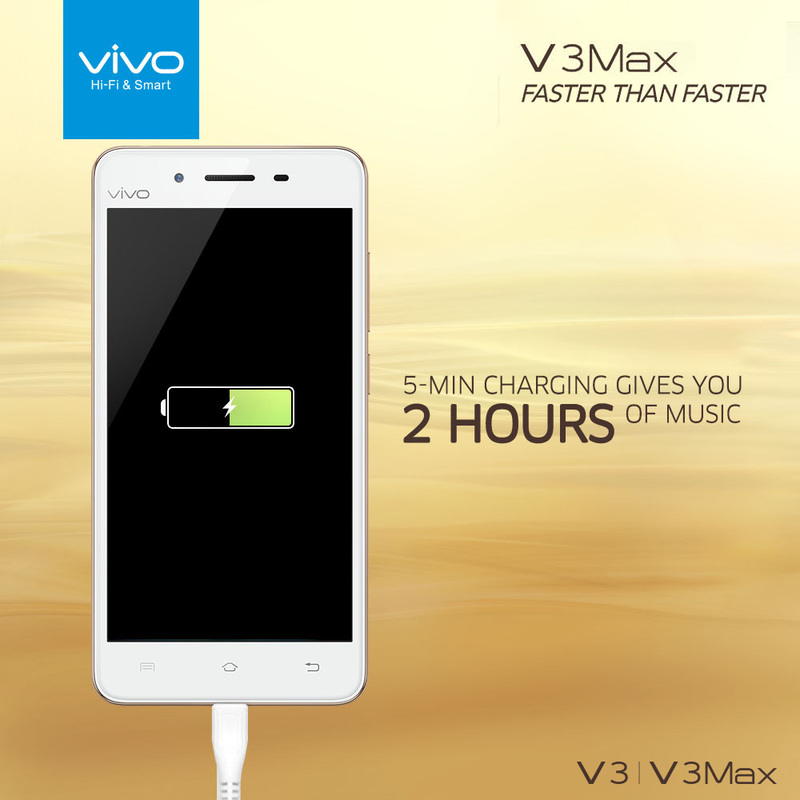 Furthermore, due to its innovative power-saving technologies and fast charging function, the phones can play two hours of music after only five minutes of charging and both the V3 and V3Max are equipped with the VIVO AK4375 Hi-Fi chip that provides Hi-Fi audio quality for sound and video playback. 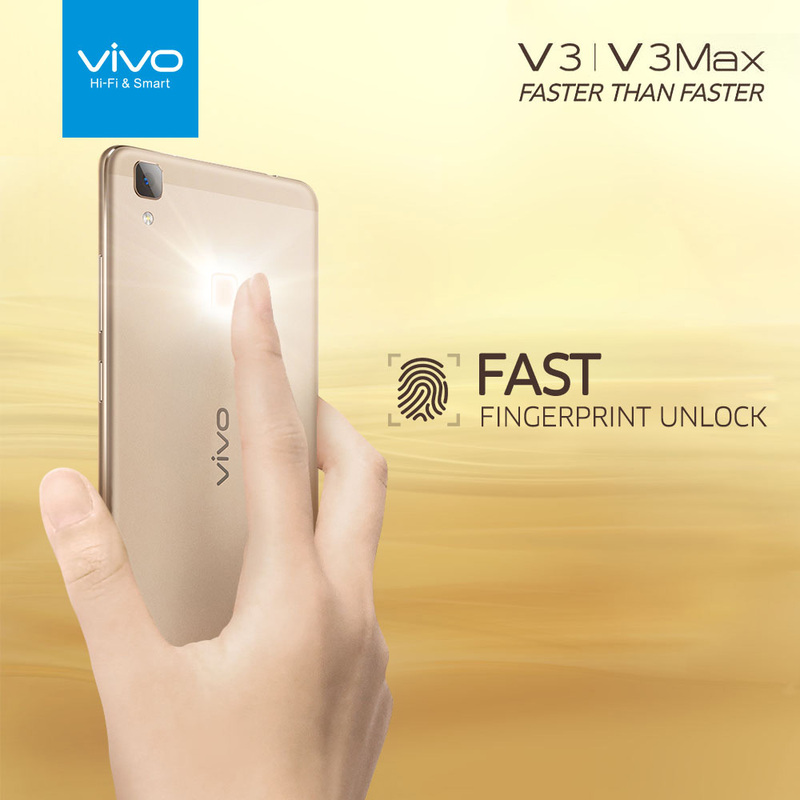 The V series also introduces fast finger print unlocking with ultra-speedy 360˚ fingerprint touch recognition system that reads finger prints in just 0.5 seconds, making the phones faster and more responsive while at the same time providing a double layer of security and privacy. 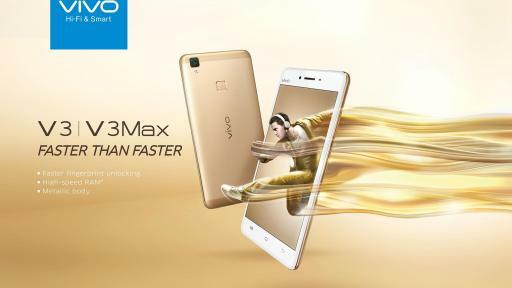 The Vivo V3 and V3Max will be released in eight countries: India, Malaysia, Thailand, Philippines, Vietnam, Myanmar, Indonesia and China. 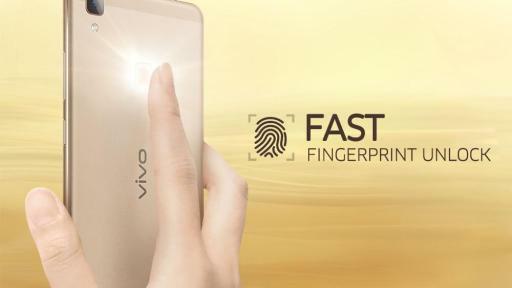 A young and energetic global smartphone brand focusing on introducing perfect sound quality and amazing design with cutting-edge technology, Vivo develops dynamic and stylish products for open-minded, passionate people.